Forget filling your garage with single-purpose lawn care equipment. The Troy-Bilt Flex System is all you need. A whole new approach to yard care, FLEX features one engine with multiple attachments — a unique solution that pairs a self-propelled power base with various attachments to serve as a mower, leaf blower, snow thrower or pressure washer. Additional attachments — including a log splitter, chipper shredder and water pump — are planned for future release, expanding the system's functionality even further while saving both space and money. Thanks to a high school administrator missing the tips of his digits, we've always had a deep respect for table saws. The Bosch REAXX Portable Jobsite Table Saw promises to do away with their finger-eating ways for good. It employs Active Response Technology — a series of advanced sensors and electronics — to detect when human flesh comes in contact with the blade and instantly drop the 10-inch saw blade below the tabletop. Unlike other systems, it can also get back to work in as little as 60 seconds, and it also features include a 15 Amp, 4.0hp motor, an optimized rail system, 25" ripping capacity, and a cut depth of 3-1/8". Tough jobs. Precision cuts. Minimal hassle. The Stihl TSA 230 Cordless Cut-off Machine uses a brushless EC motor, maintenance-free belt drive, and compact battery to let you work unencumbered by cords. It's emission-free, so you can use it in confined spaces, it starts at the push of a button, offers a spindle lock for easy blade swaps, features an ergonomic, curved handle, and thanks to a standard-fitted water connection and suction stubs, keeps your work area clean. All of us have a tube of Krazy Glue around the house, but there are some jobs that even that miracle solution can't handle. Bondic Liquid Plastic Welder, on the other hand, can. This complete system has you clean the surface to be bonded, leaving it rough for a more lasting bond or smooth for a temporary fix. Then you apply with liquid plastic to the area, cure it for four seconds using the LED-based UV light, add additional layers as necessary, and then sand, mold, and or paint until you're happy with the results. It works on plastic, wood, metal, and fabric, and unlike regular glue, it won't leave your fingers stuck together. It's time to ditch that ancient digital calipers you've been meaning to replace forever, and consider a tool that was designed and developed by creators. Flint Studio Tools first tool is a great looking caliper, rule, and case that was crafted from stainless steel, has clear markings, legible numbers, and a clear color palette. It comes in a compression molded case that was designed with just as much thought, featuring an internal pocket, a water resistant zipper, and internal magnets that keep your tools in place. It's mobile, durable, and ideal for creatives from students to tenured pros. Don't carry a carabiner as a keychain. Make them one in the same with the KeyBiner. 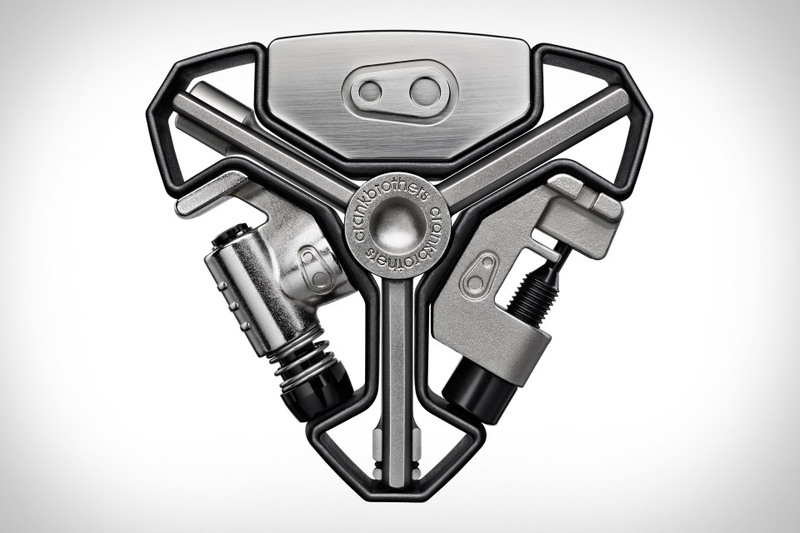 This multi-tool features a unique key retention system that can hold as many as 14 keys, while also offering a number of differently-sized wrenches, a screw bit driver, a flat blade screwdriver, a prybar, a file, and — of course — a bottle opener.